In the land of Seaquestria, Pinkie Pie serves up undersea treats! 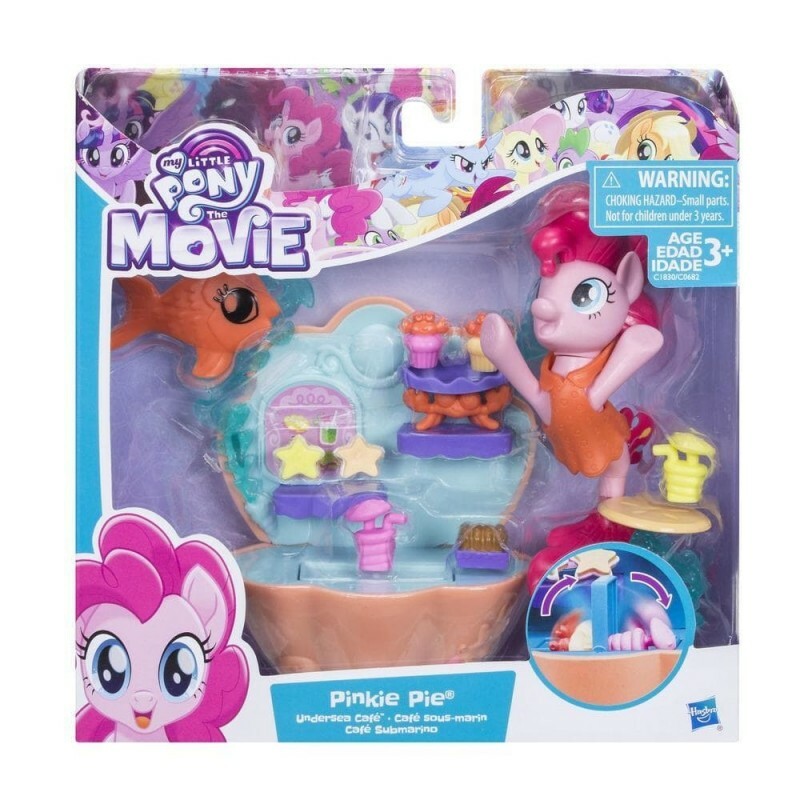 Inspired by the My Little Pony the Movie, this Pinkie Pie seapony figure has a beautiful mermaid-like tail and her cutie mark on her back fin. Clip on her apron and open the seashell-shaped café stand to start the fun! The café stand reveals undersea accessories and cute treats for Pinkie Pie to share with all her pony friends (Additional figures sold separately. Subject to availability). The Pinkie Pie seapony figure is approximately 3-inches tall and decorated in glitter for sparkly café adventures. Includes seapony figure, café stand, clip-on apron, and 9 accessories.